The other day, a company called Tenfold added me to its Top 40 Customer Success Influencers list. (You can download the list here.) I never set out to write and speak for the Customer Success industry; it happened by accident. I tell you this story not to brag, but to illustrate the importance of looking for your unknown readers. Your work may resonate with people outside the audience that you have defined. My first book, Subscription Marketing, was written specifically for marketers working in large organizations. As it turned out, getting the attention of over-burdened marketers was tough. Instead, entrepreneurs and people in Customer Success roles started contacting me about the book, inviting me to their podcasts and conferences. My most supportive and engaged audience wasn’t where I was looking for it. I wasn’t targeting the wrong audience, exactly, but I was certainly missing very receptive groups outside my initial target readers. This is a great problem to have, but I wish I’d figured it out sooner. Effective writing requires two parties: the writer and the reader. Your content isn’t complete until someone reacts to it. Do everything you can do determine how your work is being received. You may discovered hidden audiences that find your content valuable and relevant. To identify these audiences, you have to listen and look. 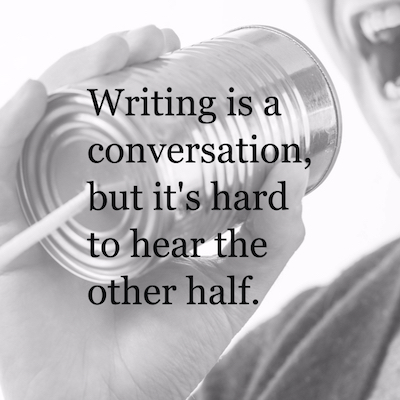 Writing is a conversation, but it’s hard to hear the other half. Each of these responses is a golden opportunity to learn how people react to your work. What resonates with them, and why? Even a negative review tells you something about who is not in your resonant audience. That’s valuable insight, even if it is painful to receive. But a vast majority of readers won’t step forward and contact you, even if they love what you have written. To identify these readers, you may need to sift through data. Where and how you look for this audience will depend on what you write and where you publish. Where are people connecting from? Which social networks do they come from? Which content gets the most attention? How long do people spend before they leave? What paths do they travel through your pages? Create a Google Alert for your name and your book or business name. You might discover people discussing your work. If you have a business or author page on Facebook, use the Insights feature to get a sense of the demographics of your followers. Keep track of which posts earn reactions or shares. LinkedIn offers basic analytic information on both posts (content you share) and articles (posts that you publish natively in LinkedIn.) Look for the icon that looks like a chart to find insights into the titles, companies, and geographic areas of the people who responded. 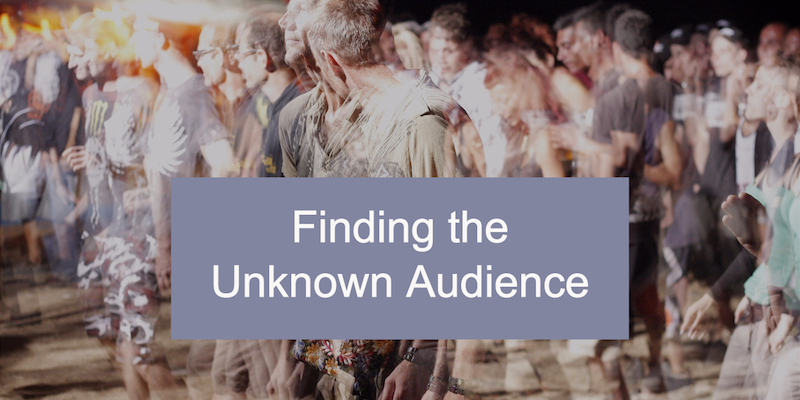 What Happens When You Find a Hidden Audience? Over time you may notice trends about the type of people who like what you write. What you do with this insight is up to you. Create content specifically for that audience. You could change your audience focus altogether, if the new market merits it. More likely, you can adjust or expand the content you’re already creating. I revised and updated Subscription Marketing to address the needs of startup entrepreneurs as well as Customer Success professionals. But whatever you do, listen.